My heart belongs to Edinburgh. Everyone who knows me knows it. Three times I have left, and three times I have returned. 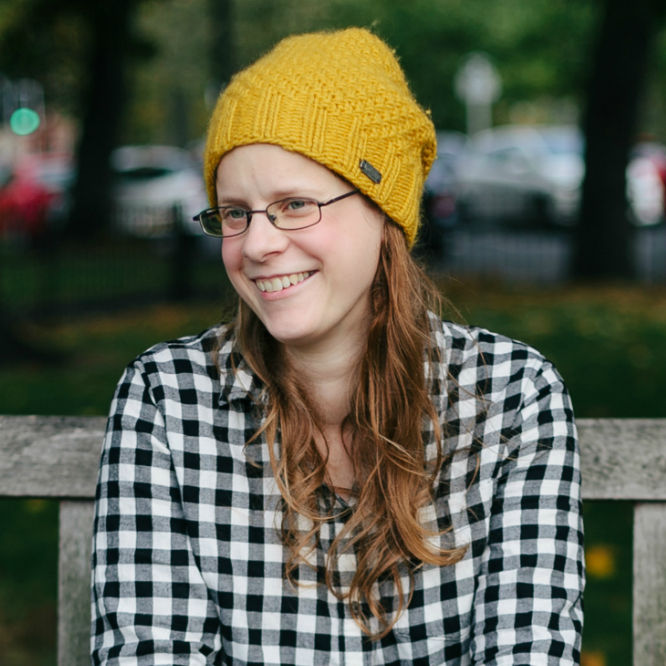 So when I was invited to go spend a day exploring my beloved city with my kids, and share some of our favourite spots and hidden gems with you, I jumped at the chance. Please note, this post is a collaboration. 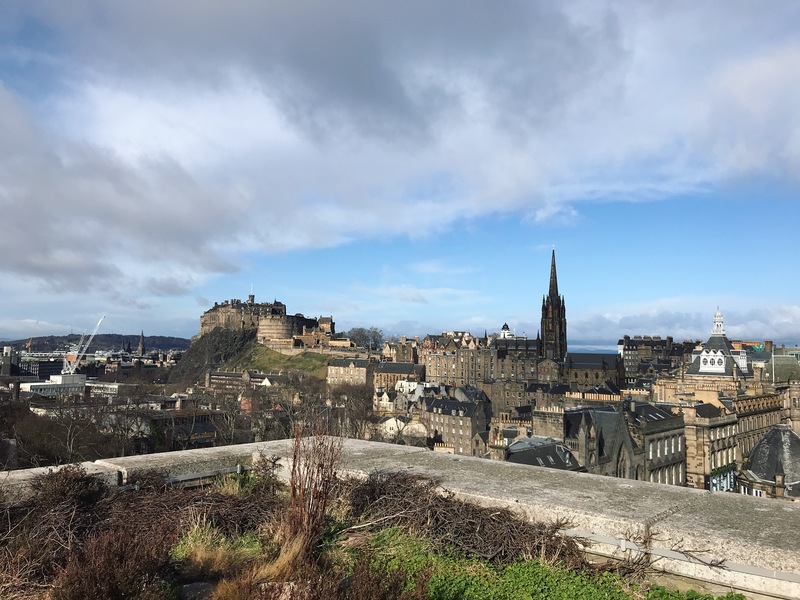 We were gifted some spending money to go and explore Edinburgh but it was left entirely up to us which places to choose to go to. 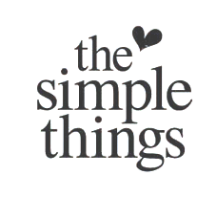 The spending money was gifted by Hotels.com, but all views are my own. 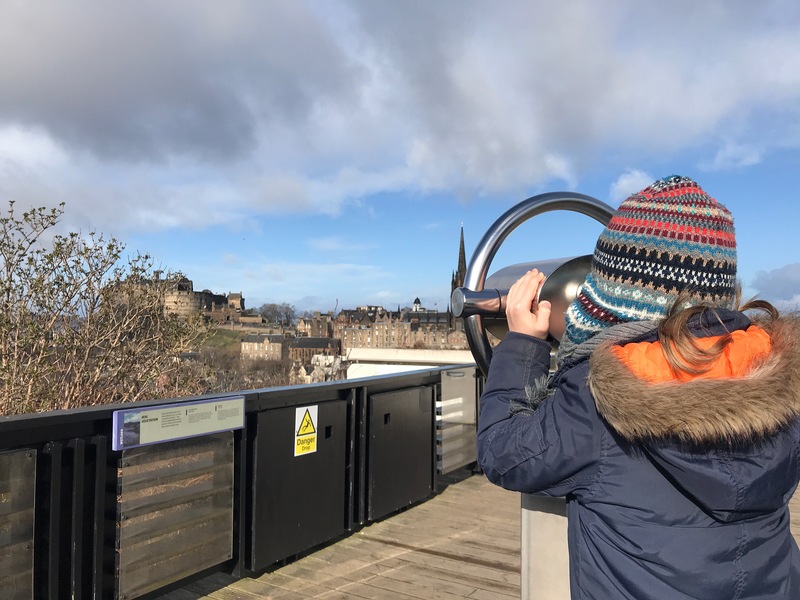 Edinburgh offers much to see and do for families. If you are just coming for a short city break, you might feel overwhelmed by the choices, so we decided to put together an itinerary that you can easily fit in to a day or a weekend, if you stay somewhere central. 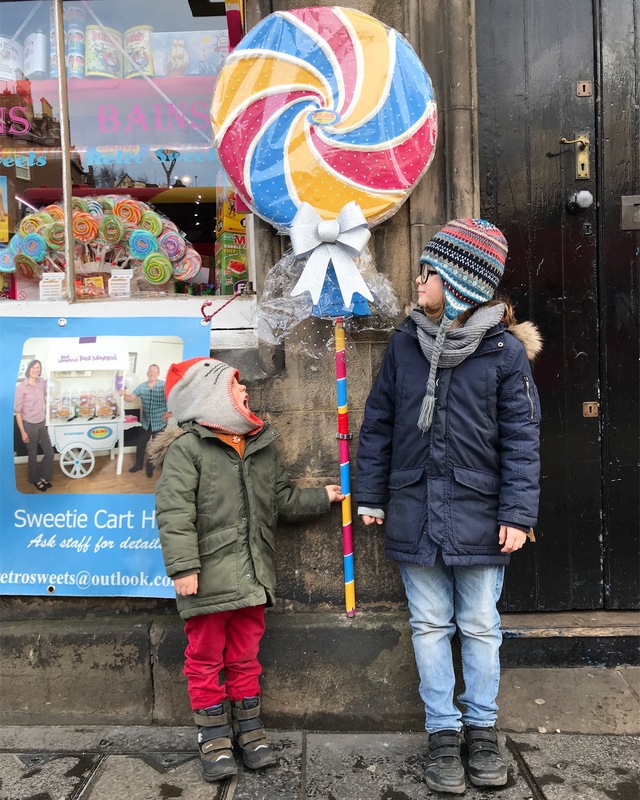 My boys are 4 and 8, and after taking the bus from where we live on the south side of Edinburgh to the centre of town, we did the rest of the day on foot. 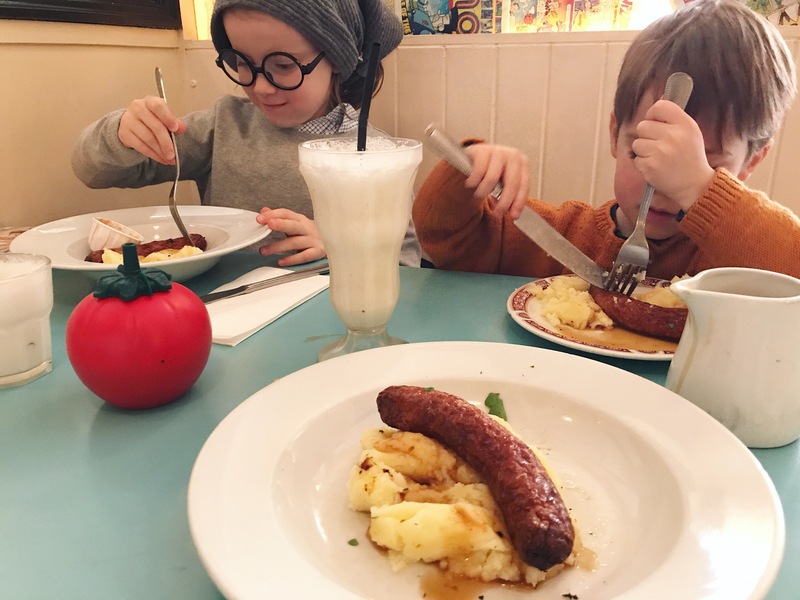 The most important thing to set you up for the day is a good breakfast, so I thought it would be fun for the boys to start our day of exploring by going out for breakfast, as this is something we never do. The boys reliably informed me this would need to include pancakes. 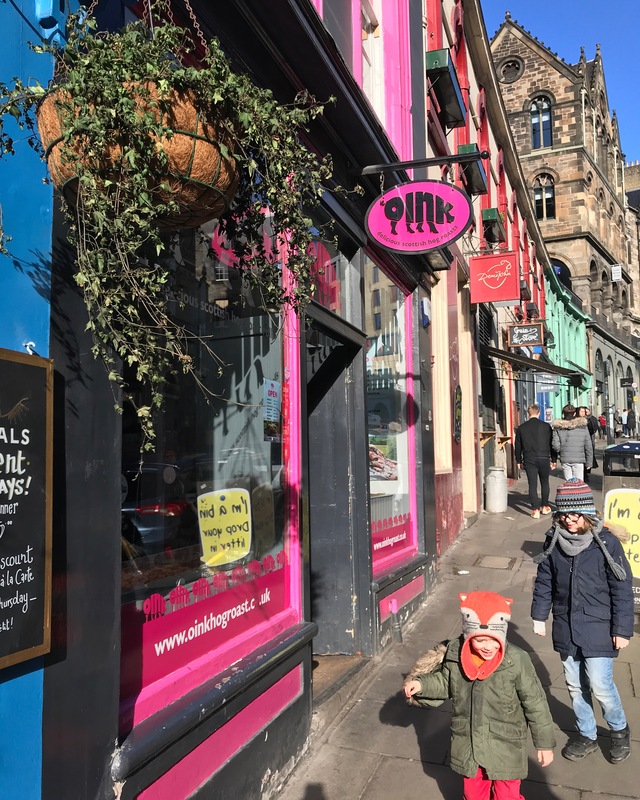 Situated on George IV Bridge, Brunch and Supper is a bright and friendly café bistro which offers a selection of both sweet and savoury breakfast foods – including damn good pancakes! 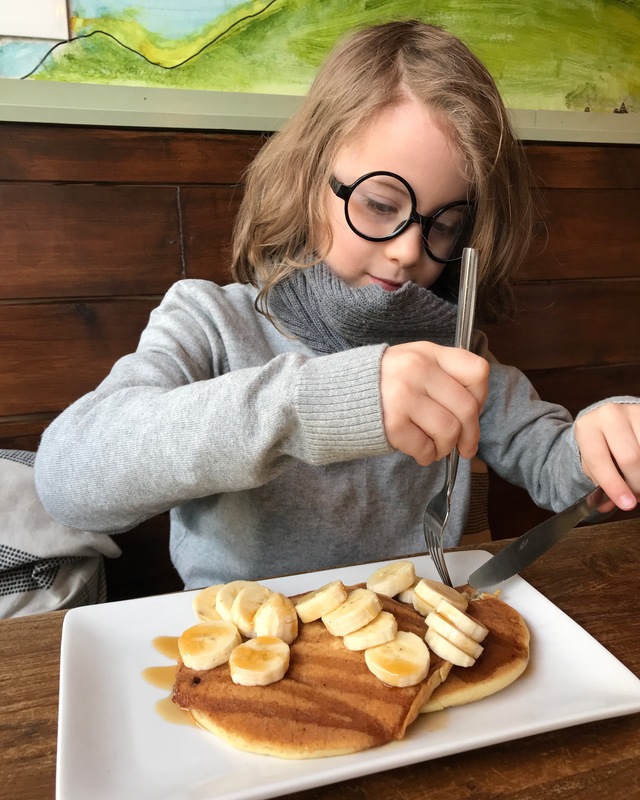 They have a kids menu, and gluten free options too, so we all ordered pancakes with bananas and maple syrup. Oskar (who is 8) had a kids portion, and Mr Fox (who is 4) and I shared an adult portion between us. Other breakfast options included savoury pancakes, breakfast burritos, cooked breakfast, omelettes, and good old porridge. 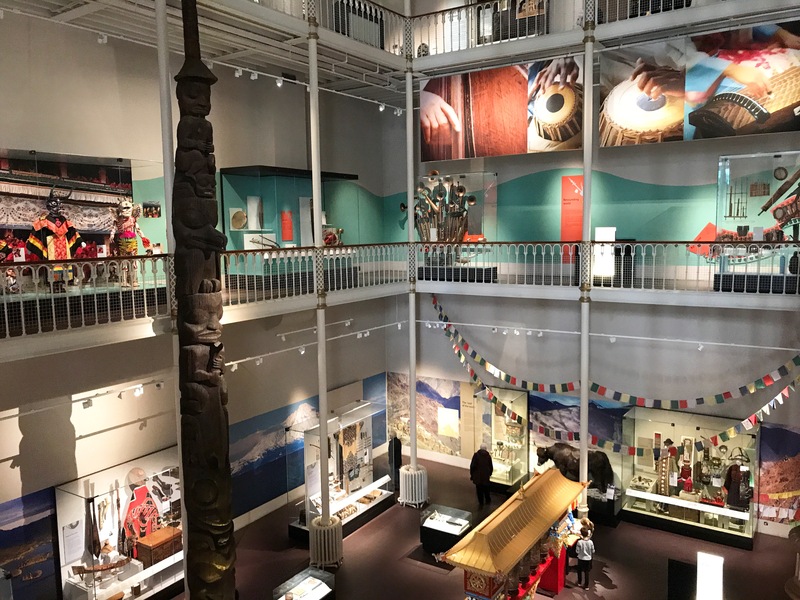 After breakfast, we headed to the National Museum of Scotland on Chambers Street, which can hardly be described as a hidden gembut it’s such a ‘must-see’ we could not exclude it from our guide. It’s open daily and admission is free. 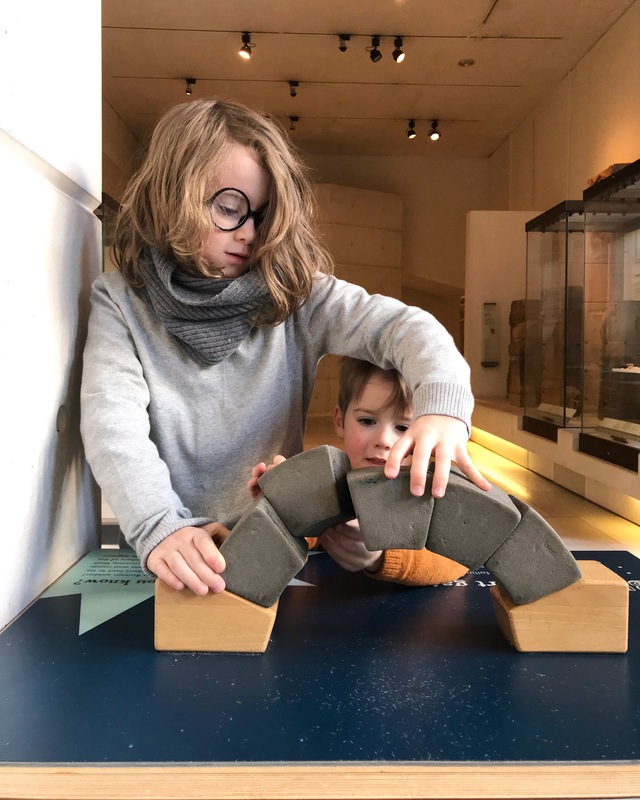 There are several fantastic hands-on galleries aimed at families, which are usually very busy, so we wanted to share some of our other favourite spots with you. My boys really love the galleries in the basement level (Level -1) of the Scotland section of the museum. Early People includes a Discovery Zone for children, where you can dress up, play a board game, build a bridge, do some puzzles and more. 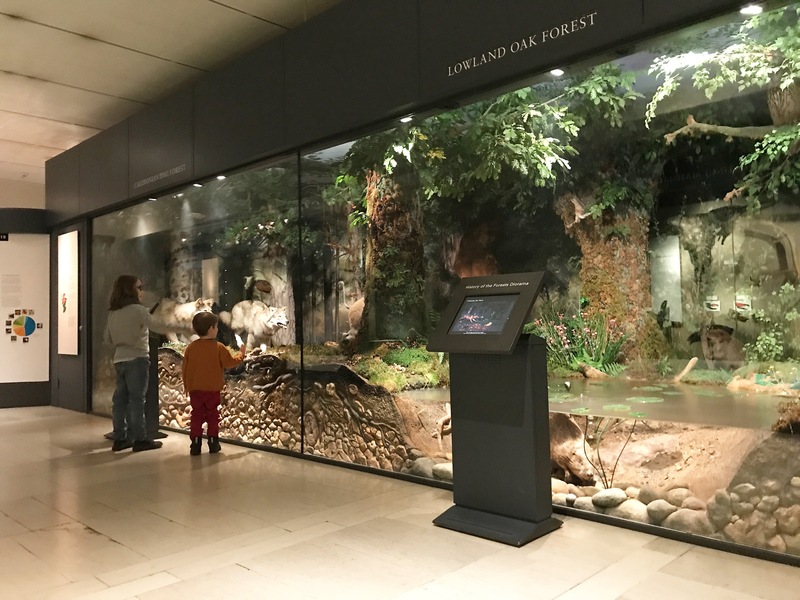 They are also fascinated by Beginnings, which shows how Scotland was created and evolved geologically, with the animal diorama at the end being one of their favourite displays – can you find the hidden snowman? In the World Cultures galleries, Performance and Lives on Level 3 is a fun gallery, with lots of colourful masks and costumes from around the world to explore. 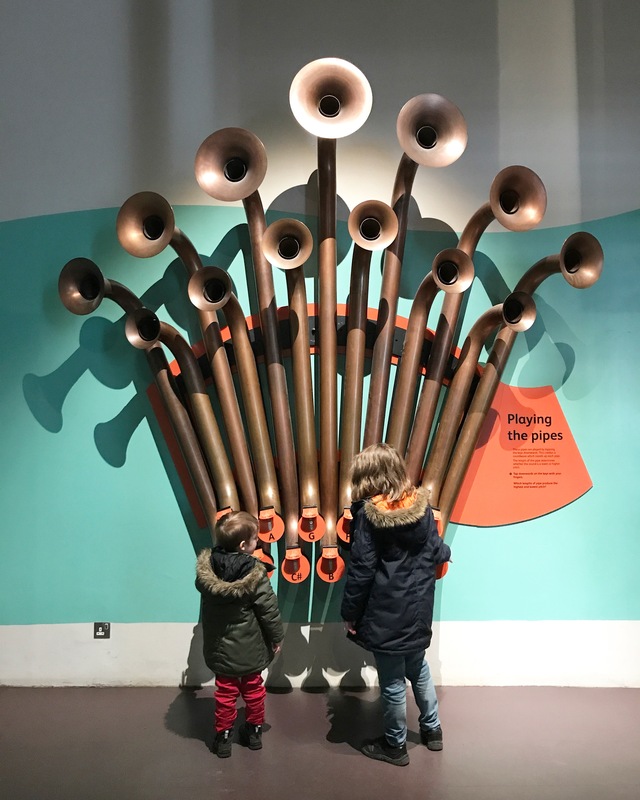 The highlight for my boys are the musical instruments you can play, including a touch screen interactive where you can compose a piece of music with different instrument samples from around the world, and then email it to yourself to listen to again at home. Did you know the Museum has a roof top terrace? Take the Terrace Lift to Level 7 for free views of Edinburgh! 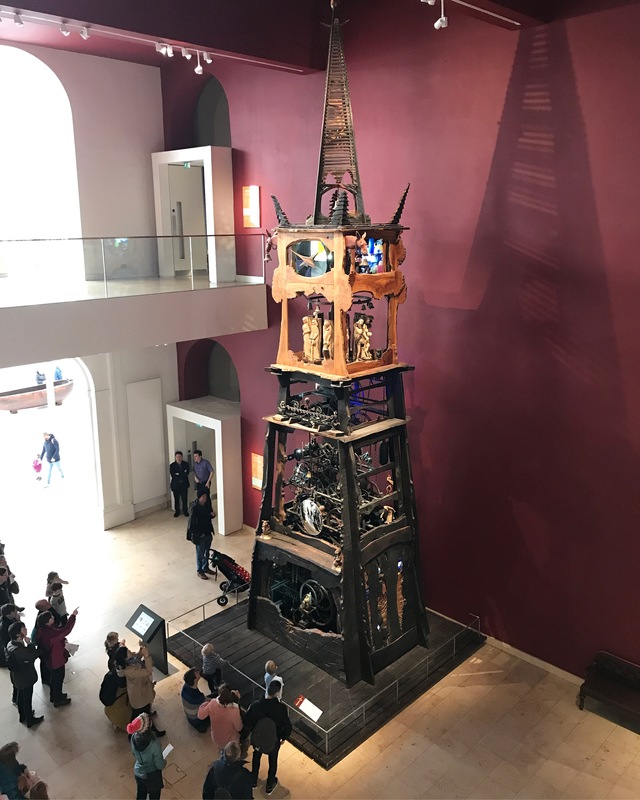 Finally, it’s also not really a hidden gem, but Oskar informs me I absolutely have to include the Millennium Clock as this is apparently his most favourite thing of all at the museum. Located on Level 1, just off the Grand Gallery, it stands over 10 metres tall and springs to life on the hour to the resounding chords of Johann Sebastian Bach. 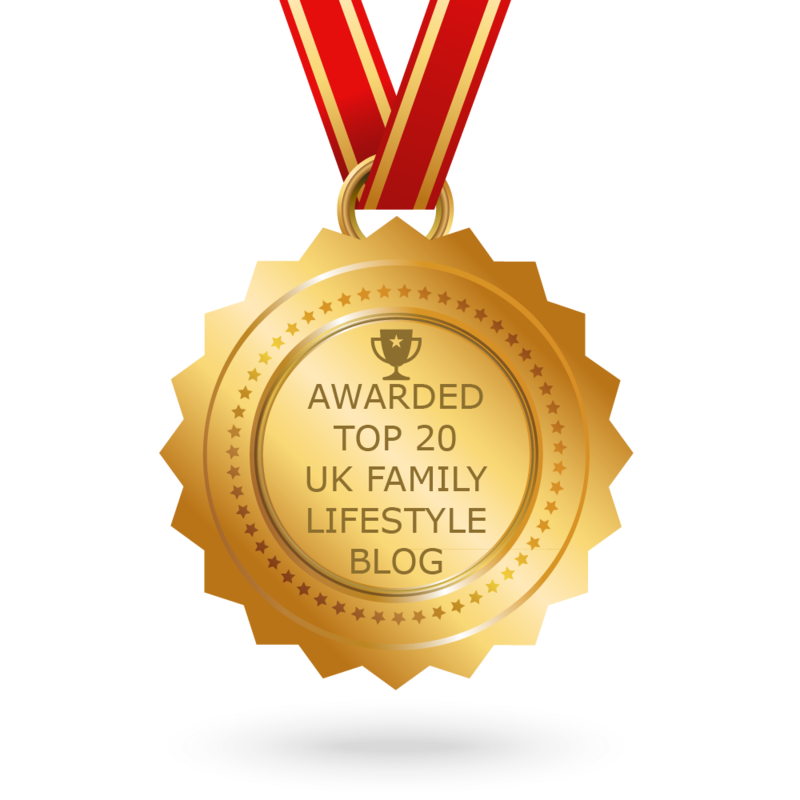 The clock symbolises the passing of time, including the best and worst of the 20th century. Some of it is actually a bit depressing and creepy if you look at it closely, but the kids don’t really notice, they are just fascinated by the music and the moving parts. 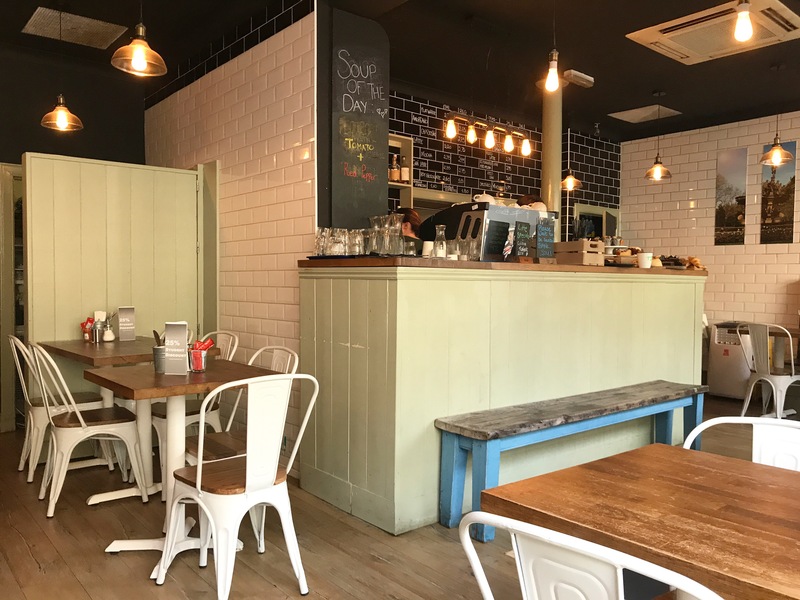 For lunch, we headed to MUMS on Forrest Road, which serves up great comfort food. Their signature dish is sausage and mash, so we decided to go with that. You can choose from a selection of different sausages, mashes, and gravies to create your own personal combination. There are vegetarian and gluten free options available too. 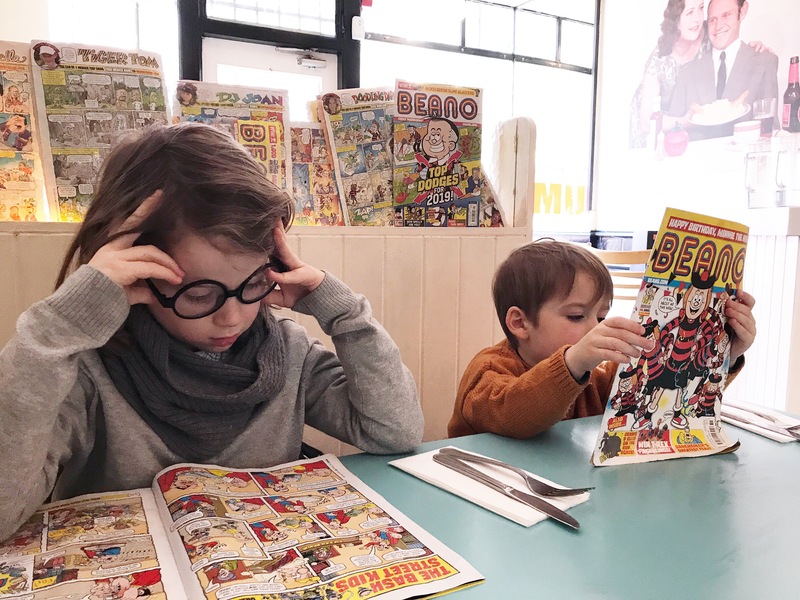 We again went with a portion from the kids menu for Oskar, and Mr Fox and I sharing an adult portion, and topped it off with vanilla milkshakes all round.The highlight for the boys are stacks of old Beano comics all around for you to read while you wait for your food. And you get a handful of sweeties with your bill too! MUMS is also a great dinner option as it’s open until 9pm. We would be heading home for dinner, but if you are visiting from out of town you could grab something lighter somewhere else for lunch and head to MUMS for dinner instead. Alternative suggestions for lunch nearby include Olly Bongo’s, a Mediterranean bistro which is a family favourite of ours. They don’t have a kids menu, but they are super accommodating in putting together something ‘off menu’ for little ones. Or if you prefer something on the go, then Oink on Victoria Street offers the most delicious hog roast rolls in different sizes (apologies to any vegetarians). You can also get a gluten free version served in a box instead of a roll. After lunch, we took a stroll around the Grassmarket area to explore some of the little shops there. 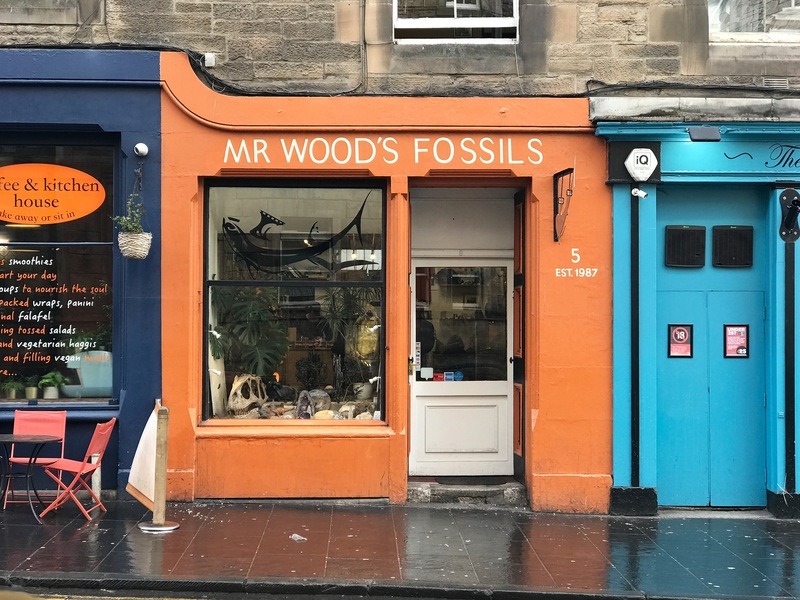 The boys were very excited to each get some spending money, and the first place we stopped at was Mr Wood’s Fossils. 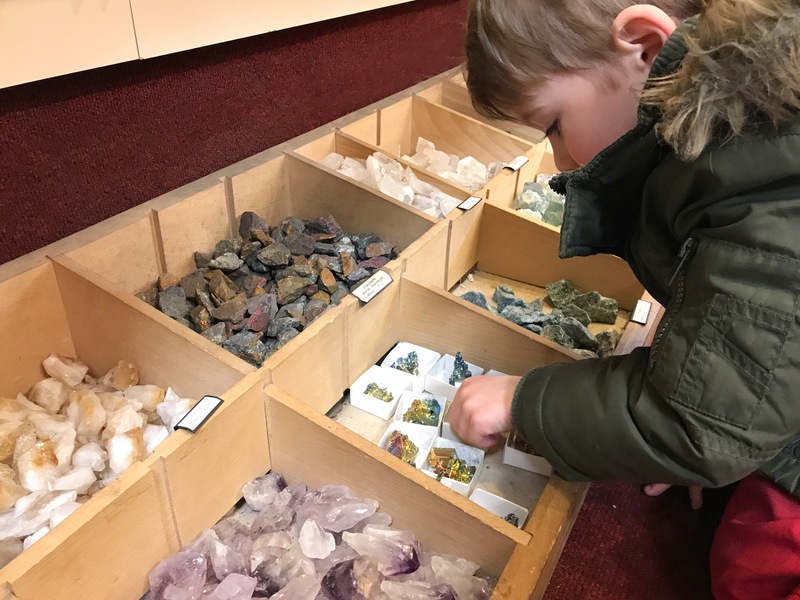 With a wide selection of fossils, rocks and minerals to choose from in different price ranges, this is the perfect place for little geology fans to spend their pocket money. 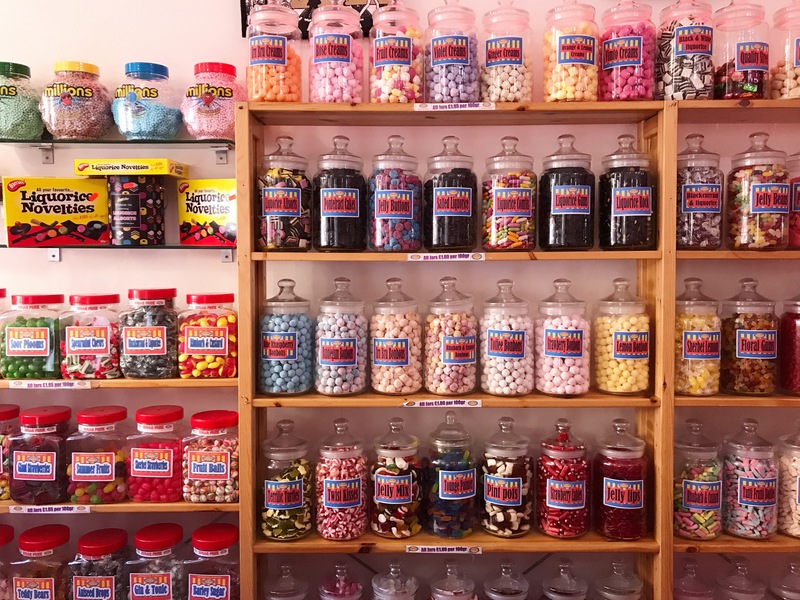 Next, we headed to Bains Retro Sweets, filled with rows upon rows of old fashioned sweeties in big jars. The owner was very friendly and helpful in narrowing down their choices for them, and even let them taste a couple they were not sure about before making their final decision. 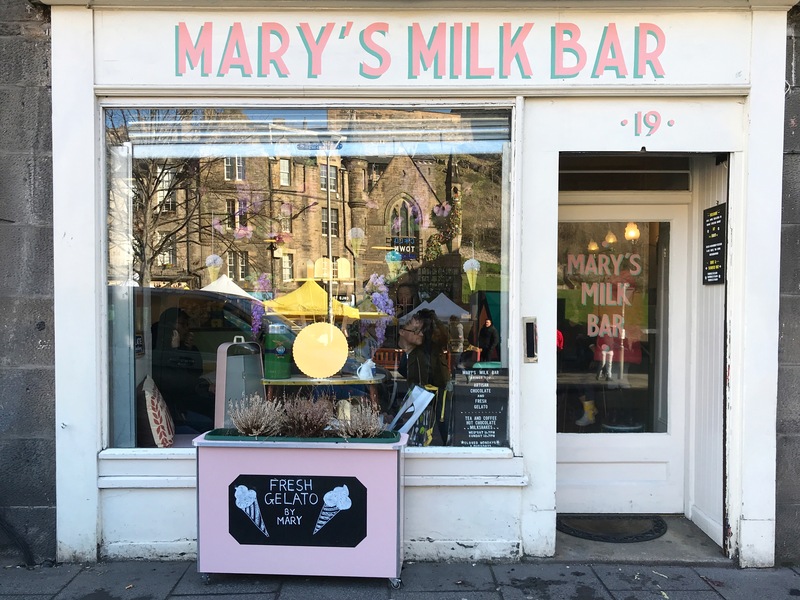 Having skipped dessert at lunch time, Mary’s Milk Bar was a must for the best ice cream in town. It doesn’t come cheap, but the portions are generous and it’s worth every penny in my opinion. Insider tip: On request, you can get a kids portion for the little ones, which is a little smaller and cheaper but not listed on their menu. Mary’s Milk Bar is closed on Mondays and Tuesdays. After our little walk around the Grassmarket, we headed to the nearby Museum on the Mound. Behind the rather non-descript name lies a fascinating little gem of a museum all about the (hi)story of banking and money. 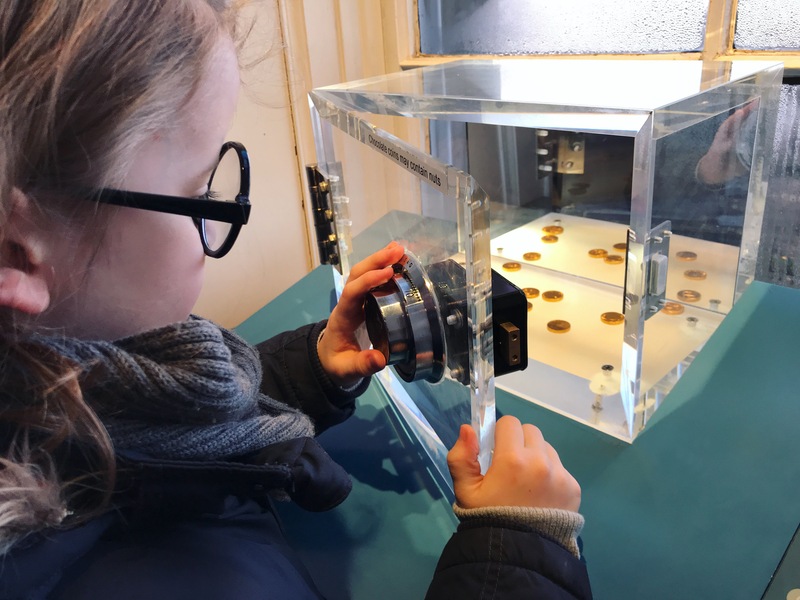 Admission is free and there are plenty of fun hands-on things for kids to do, including trying to build a model of the Bank of Scotland against the clock, or trying to crack a safe to get the chocolate coins inside. There’s also a kids trail you can pick up at the info desk. The Museum on the Mound is open Tuesdays to Fridays, and in the afternoons on Saturdays and Bank Holiday Mondays. 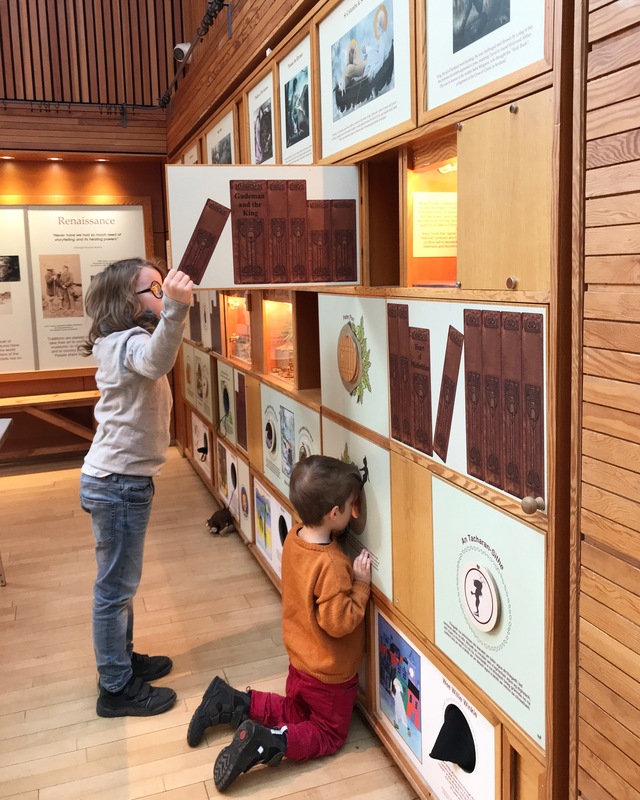 If you happen to be visiting on a day the Museum on the Mound is closed, then the Museum of Childhood just a couple of blocks away on the Royal Mile is another great alternative, with its collections of toys and games and other aspects relating to childhood. It’s open daily and admission is also free. What’s a bit of exploring without some afternoon tea? 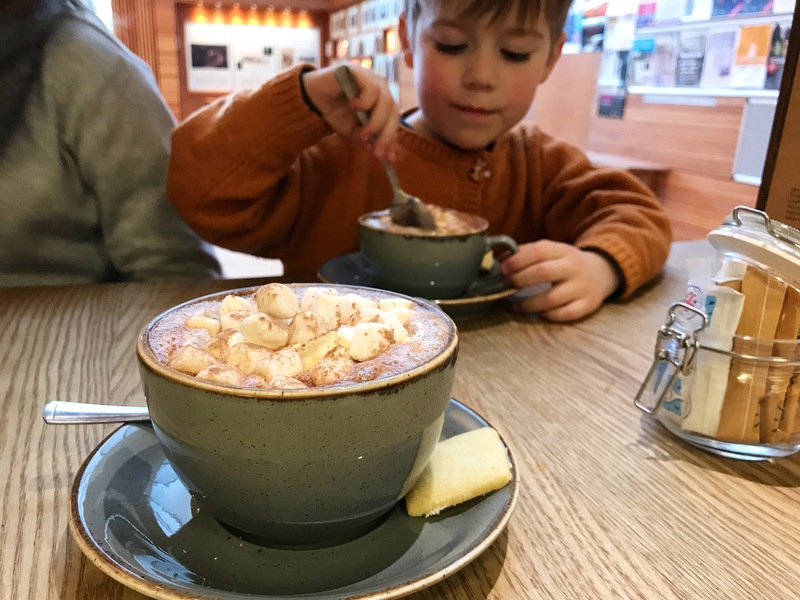 We stopped off at the Storytelling Centre on the Royal Mile for hot chocolates all round. They also have a selection of cakes, and light lunch options such as soup, salads and sandwiches. 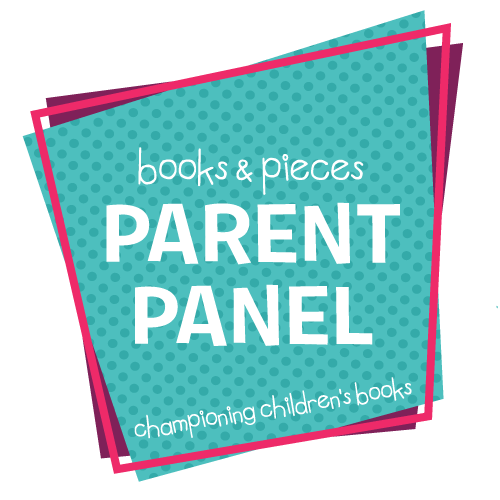 The biggest attraction for kids, however, is the giant story wall, which has doors and flaps to open and reach in to, to discover different characters from Scotland’s history and literature. The Storytelling Centre is open Mondays to Saturdays, and on Sundays in July and August only. If you are looking for some tasty Scottish souvenirs, we have a couple more shops to recommend that we popped in to on our way home. Fudge Kitchen, opposite the Storytelling Centre, serves up giant slabs of melt-in-your-mouth fudge and we tasted our way through all the free samples. The slabs of fudge would make an excellent gift and taste far better than the pre-packaged stuff you can get in any gift shop or supermarket. 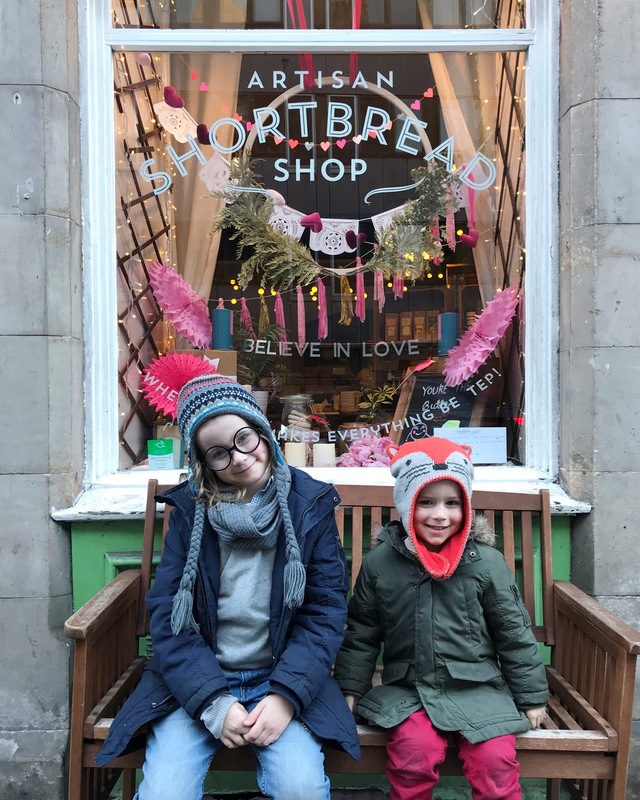 And just around the corner, on St Mary’s Street, you can find the best shortbread in town at artisan shortbread shop Pinnies & Poppy Seeds (closed on Sundays and Mondays). As my 8 year old put it, “This is the most amazing smelling shop I have ever been in!” We got some of the chocolate chip and the cinnamon shortbread to nibble on our bus ride home, and can confirm that it not only smells amazing, it tastes amazing too! Note: You could easily spread out this itinerary over a weekend instead of just a day. 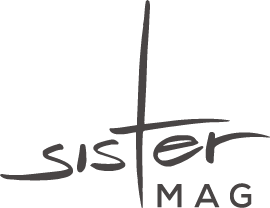 I’ve added in a few additional food and museum options, and you could give yourself a lot more time exploring the National Museum of Scotland. If the weather is nice, the nearby Meadows park also offers a great opportunity for kids to run around and let off some steam, with a fabulous play park for all ages situated at the East end of the Meadows (if you zoom out of the map below, The Meadows is just to the South of the places mentioned). It’s been years since I was last in Edinburgh but I would love to go back one day. The zoo is one of my favourite places to go there. Do you know, I have not been to Edinburgh in YEARS! I forget how lovely it was with so many interesting things to see. I think that the fossil + sweet shop = a winner! 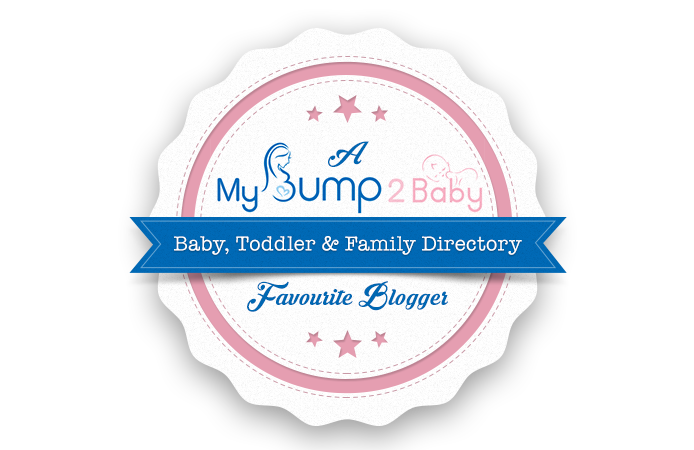 I can’t believe that I’ve not visited any of the places you mentioned! 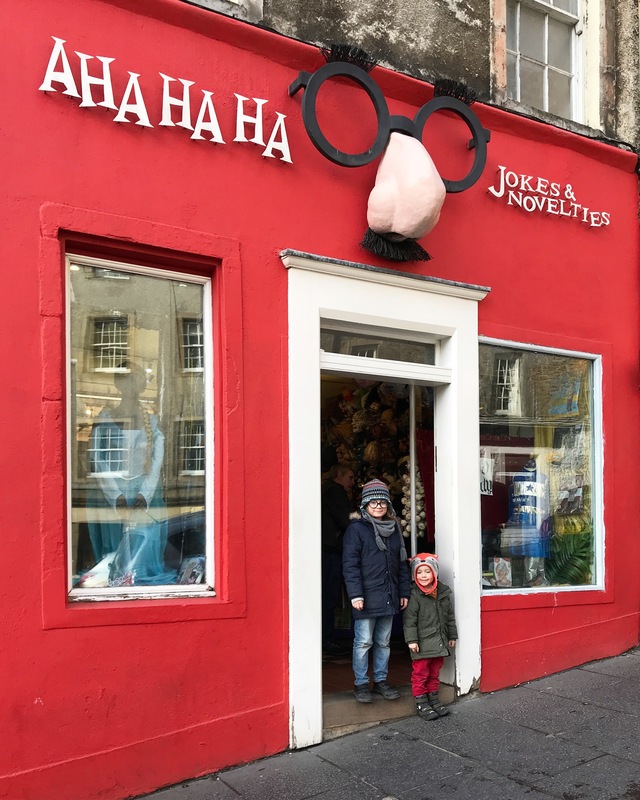 I love Edinburgh and thought I’d seen most of it … nope! So I need another visit! Ahh it looks fab there in Edinburgh. We’ve never been but I’d love to go. How did you fit all that in! I’m impressed.